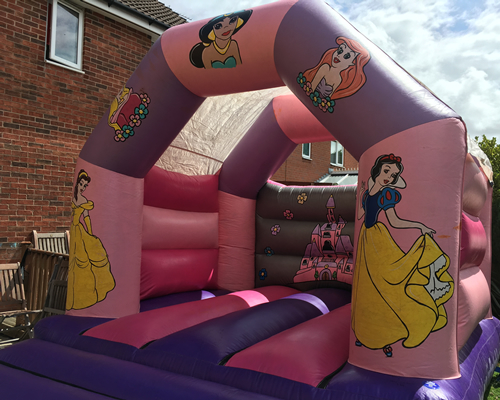 A great themed princess castle for little ladies, the bright familiar disney style artwork is always a big hit the arched roof gives it protection if there is any bad weather. 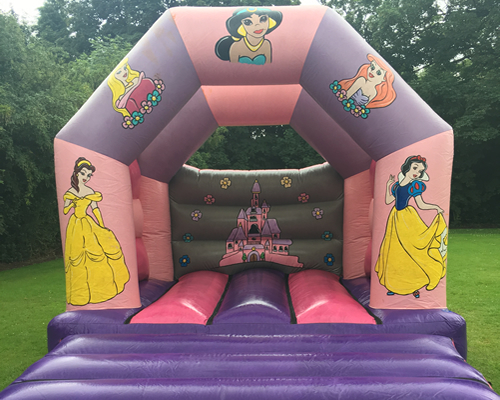 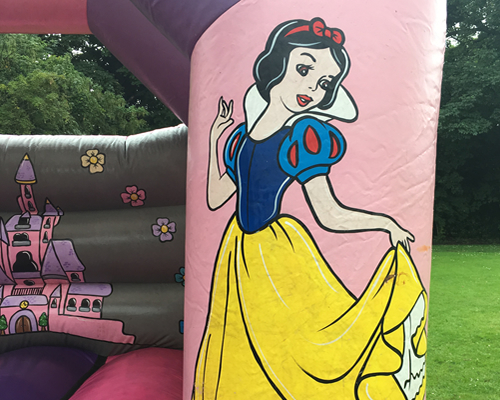 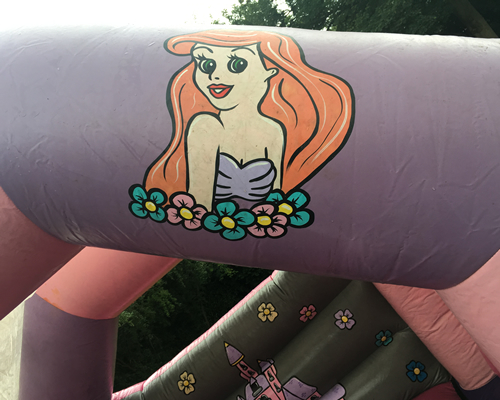 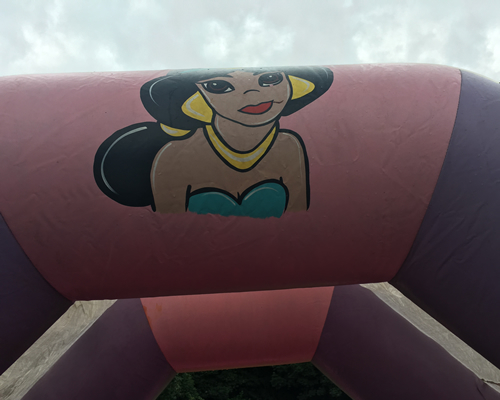 My little girl loves all the disney movies and princesses so for her birthday we decked out with all the theming we could get the castle was the perfect touch she was bouncing on it all day! 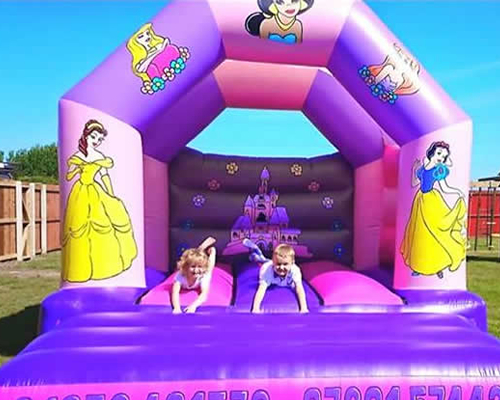 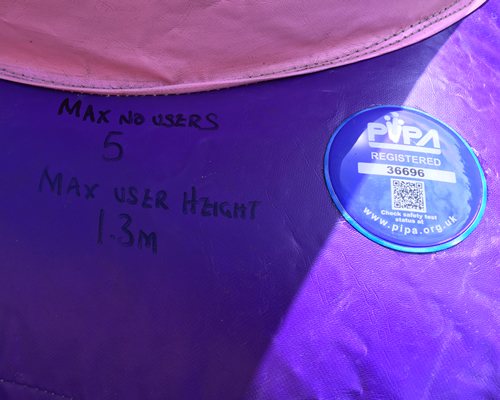 Thanks again Bouncing About!